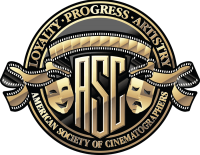 During our past 14 years of proactive motion picture and TV industry engagement, the ASC Technology Committee has played a significant leadership role in guiding the evolution and development of key motion imaging technologies to better support our filmmaking art form. Many of our industry partners and supporters of our recommendations, along with users of our technologies, have suggested that the Committee’s name does not sufficiently convey the scope and influence that our activities have had on important motion imaging technology developments. In response to that input and after careful consideration, we have decided to change the Committee’s name to the ASC Motion Imaging Technology Council (MITC, or “My Tech”). We believe this better represents the expanded scope of the work we are doing and our widely recognized role as industry leaders — influencing the advance of motion imaging technologies in ways that best serve the creative interests of filmmakers while emphasizing the cinematographer’s contribution to the art form. Our subcommittees will now be designated Committees of the ASC Motion Imaging Technology Council. We will continue to encourage our Committees to work in a coordinated manner, combining their expertise on topics of wide interest and concern, including ACES, HDR, digital motion picture camera developments, look management, virtual production techniques, lens developments, DI, motion imaging workflows, projection and display technologies, archiving, as well as advanced imaging. Filmmakers are currently experiencing the accelerated convergence of several key technology developments that are expanding the creative possibilities of our digital motion imaging future. Prominent among these are high dynamic range (HDR) for both TV displays and in cinema, along with wide color gamut (WCG) beyond both BT.709 and DCI P3. The rapid advance of HDR currently being deployed for ultra-high definition (UHD) television displays, including the BT.2020 WCG target, has raised urgent questions regarding the standards-based implementations which filmmakers need to reliably support their creative intent and ensure consistent image display quality across multiple content distribution platforms. Also, the release of the Academy Color Encoding System (ACES) 1.0 has further encouraged wider industry adoption of this vital standards-based color management system and image interchange framework that supports filmmakers’ use of WCG with HDR. Both WCG and HDR are crucial to the development of a new expanded creative canvas with enriched color palette. It should be noted that new development work on ACES has recently begun that will further enhance its performance throughout production and postproduction. In addition to greater spatial resolution (4K/8K), there is growing interest in increased temporal resolution via higher frame rates beyond 24 frames/sec, up to 120 frames/sec. I would also like to mention that important further developments are being planned for our multi-Award-winning ASC CDL (American Society of Cinematographers Color Decision List). Please see the report from our DI Committee for details. The convergence of these advanced digital motion imaging developments requires enhanced workflow infrastructure to successfully support their implementation from shooting through post finishing. These important developments are gaining solid traction which is accelerating their adoption by filmmakers to enable greater creative potential. Our Committees are advancing their work as reported in our 2016 progress report. We continue to proactively engage key technology developments that are influencing our motion imaging future. In addition to high dynamic range (HDR), the latest high-resolution TV displays (both consumer and professional), cinema projection, wide color gamut (WCG), evolving Virtual Production techniques, along with the most recent digital motion picture cameras and lenses, we are further expanding the scope of our work to include Virtual Reality (VR). The following reports from our Committees cover in detail their crucial work to address the growing array of motion imaging technology developments impacting the art of filmmaking. The ASC Motion Imaging Technology Council is guided by its primary mission to engage and influence motion imaging technology developments in ways that better serve and protect the filmmaker’s creative intent and the role of the cinematographer in realizing a creative vision that best serves that creative intent. I would like to thank all those who generously devote their time and expertise to support the mission of the ASC Motion Imaging Technology Council.